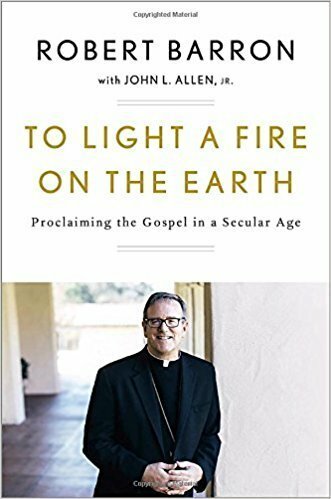 Author: Robert Barron with John L. Allen Jr.
As secularism gains influence, and increasing numbers see religion as dull and backward, Robert Barron wants to illuminate how beautiful, intelligent, and relevant the Catholic faith is. In this compelling new book—drawn from conversations with and narrated by award-winning Vatican journalist John L. Allen, Jr.—Barron, founder of Word on Fire Catholic Ministries, proclaims in vivid language the goodness and truth of the Catholic tradition. Through Barron’s smart, practical, artistic, and theological observations as well as personal anecdotes—from engaging atheists on YouTube to discussing his days as a young diehard baseball fan from Chicago—To Light a Fire on the Earth covers prodigious ground. Touching on everything from Jesus to prayer, science, movies, atheism, the spiritual life, the fate of Church in modern times, beauty, art, and social media, Barron reveals why the Church matters today and how Catholics can intelligently engage a skeptical world.